Minimally invasive surgery for knee replacement involves the use of smaller incisions which are only 4 to 6 inches in length as compared to the 10-12 inch long incision used in the traditional procedure. Surgery is performed under sterile conditions in the operating room under spinal or general anesthesia. You will be lying on your back on the operating table with a tourniquet applied to your upper thigh to reduce blood loss. 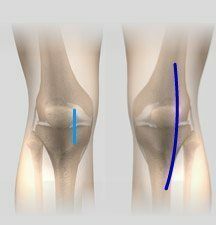 Your surgeon will then make an incision along the affected knee to expose the knee joint. The surgeon first focuses on the femur (thighbone). The damaged portions of the femur are cut at the appropriate angles using specialized tools. Then the femoral component is attached to the end of the femur with or without bone cement. The next step involves removal of the damaged area of the tibia (shinbone) and the cartilage. It allows for a smooth surface to which implants can be attached. The tibial component is then secured to the end of the bone using bone cement or screws. Your surgeon will place a plastic piece called an articular surface between these implants to ensure a smooth gliding movement. This plastic insert acts in a similar way as the original articular cartilage and helps in supporting your body weight as well as allows the femur bone to move over the tibia. The femur and the tibia bone with their new components are put together to form the new knee joint. To ensure that the patella (knee cap) glides smoothly over the new artificial knee, its rear surface is prepared to receive a plastic component. With all its new components in place, the knee joint is examined through its range of motion. All excess cement will be removed and the entire joint will be irrigated or cleaned out with a sterile saline solution. The incision is then closed and drains are usually inserted. A surgical dressing or bandage is then placed over the incision. 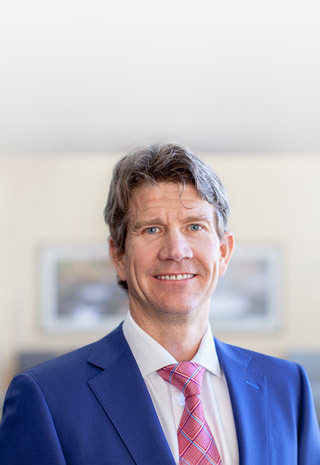 As there is less tissue damage around the knee during the minimally invasive procedure surgery, you can expect a shorter hospital stay, faster recovery and also avoid unsightly smaller surgical scar. What happens after I schedule surgery? Dr. Hickman's medical assistant will schedule your surgery with the facility you and Dr. Hickman have selected. She will then authorize this procedure with your health insurance company. Please understand that authorization is not a guarantee of payment and it is always a good idea that your check with your insurance company also regarding deductibles, copays, and coinsurance responsibilities. You also should have selected a preoperative appointment in our office. This usually takes place 1-2 weeks prior to your surgery date. Have nothing to eat or drink after midnight the night before your surgery. You should also wash your surgical site with an antibiotic soap (which will be given to you at your preoperative appointment). You do not need to shave over your surgical site, this will be taken care of in the operating room. What time will my surgery be? Your surgery time will be set by the hospital or surgical center. They will contact you the last working day before the surgery. They usually call after 1 pm. Questions or concerns regarding the time of your surgery should be addressed to the hospital. Should I stop my medications prior to surgery? This will be discussed at your preoperative appointment. If you are taking Asprin, Ibuprofen, Naproxen, or any other anti-inflammatories you will need to stop these one week prior to the surgery. If you are on Plavix or other blood thinners, please contact Dr. Hickman's office to determine when these should be stopped prior to surgery. If you are a diabetic DO NOT take your diabetic medications after midnight on the day of surgery. Your incision will be closed with dissolving sutures under the skin. There will be no need to remove any stitches. You will go home with a dressing over the wound which may be removed a couple of days after surgery, most patients will not need a dressing after this. Leave the tape on your incision for 2-3 weeks postoperatively. You can get your incision wet, but still no soaking (no bathtub, swimming, or hot tubs) for 4 weeks following surgery. Do I need a motion machine after Knee Replacement surgery? Studies show a motion machine does not improve motion or function after surgery. We currently do not recommend using one at home. How will my wound look after surgery? Redness and increased warmth around your incision can be normal. You may continue to note increased warmth for up to one year. If you experience significant drainage from your wound (drainage that soaks through a gauze pad in 5-6 hours), redness extending away from your incision or flue like symptoms, please notify our office immediately. Do I need TED hose (compression stockings)? Most patients do not need compression stockings after surgery. They do not help prevent blood clots but may be helpful for swelling for select patients. What about dental work after joint replacement? Antibiotics before dental work are not necessary unless a tooth is being extracted for an infection or major periodontal procedures such as gum or bone surgery. They are not necessary for cleanings, cavity fillings, tooth crowns, or other routine exams. How long will I need to take pain medication after surgery? Get off pain pills as soon as possible. You should anticipate discontinuing your pain medication between 2-4 weeks after surgery. Will I need home health after surgery? Dr. Hickman recommends outpatient physical therapy whenever possible. Depending on your personal circumstances, you may be released to a rehab center or to home with home healthcare. In either circumstance, it is anticipated that you would complete rehab or home healthcare at 7-14 days. You should make every effort to work hard so you can get to outpatient therapy in no more than 14 days. Yes. Start outpatient therapy within a few days of leaving the hospital or surgery center. Most patients attend formal therapy 2-3 times per week for approximately 6 weeks after surgery. You will be doing exercises on your own at home as well. What will my knee feel like after surgery? Many patients complain of painless "knocking" or "clicking" in the knee after surgery, this is very normal. This is not causing any damage to the knee. Swelling, warmth, and occasional stiffness are also very common for the first year after surgery. Can I kneel on my knee after surgery? Yes, you may kneel as tolerated. Most patients do have tenderness and difficulty kneeling the first few months postoperatively, but this typically improves with time. I'm having difficulty sleeping after surgery, is this normal? Yes, many patients complain of insomnia after surgery and night pain. This is very normal. Dr. Hickman does not recommend or prescribe sleeping pills. How much will I follow up with Dr. Hickman? Your first postoperative appointment will be 3 weeks after your surgery, then a follow up at 4 months after surgery, and again at 1 year after surgery. Then you will need annual appointments each year. Should you have questions or concerns outside of those timeframes, please contact our office. Full recovery from your total knee replacement surgery is going to take several months. Guidelines are included which discuss precautions to protect you new knee joint, exercises that increase your knee strength and range of motion, and activities of daily living that will help you become an active partner in your care and recovery. It is very important to KEEP YOUR KNEE STRAIGHT WHILE RESTING, never place a pillow under the back of your knee. Place your heel on a rolled up towel, ottoman, or chair so air is under the knee, push the knee down in extension. This is the most important stretch or exercise after knee replacement, this will help you regain full extension. We encourage you to walk, get outside, and work on your motion. We strongly encourage the use of ice for the first few weeks after surgery. You will receive a polar care or ice machine which cools the knee which is particularly helpful after therapy. Lying in Bed: You may lie on either side. Remember never to put a pillow under your knee. Keep your knee out straight while lying down. Sitting in a Chair: Use a firm, sturdy chair with arm rests.Allow your foot to rest on the floor if you can. Use a cushion or pillow to raise you up, if needed, to facilitate getting out of the chair. Walking: YOU MAY PLACE ALL OF YOUR WEIGHT ON YOUR KNEE. The physical therapist will teach you to use a walker or crutches when you walk until your knee heals. Most people are walking normally after 3 weeks. Most only use crutches to provide balance and to ensure a normal gait in the first few weeks of recovery. Once a normal gait is established you may discontinue using your crutches, cane, or walker. Use low-heeled or flat shoes. Avoid wet or waxed floors. Keep your floors free of items that could trip you. Throw rugs or small objects should be kept off of the floor for your safety. Watch for pets or other animals that could get in your way. Showering: You may shower immediately after surgery. The dressing has a antimicrobial seal and is safe for showering. However do not soak the incision in a tub or hot tub for 4 weeks. Driving: If you are riding in a car the first couple weeks after surgery, stop every hour or so to get out and walk around for a few minutes. This will help the circulation in your legs and keep your muscles from stiffening up. Check with Dr. Hickman when you can resume driving after your surgery. Driving is usually allowed once the patient is off narcotic pain medications and normal foot and lower extremity reaction times return. Physical Therapy: It is important to start physical therapy as soon as possible after you go home from surgery (most patients start within one week of surgery). Call a physical therapy office to set up an appointment, you will be given a prescription for therapy when you leave the hospital. Select patients may need home therapy or to go to a rehab center, Dr. Hickman and the discharge planner will help with this decision. Chair Transfers: Avoid low recliners and soft couches until otherwise told by Dr. Hickman. Stiff-backed chairs with armrests are ideal to sit in. If the seat is low, you may place 1 or 2 pillows in the chair to elevate the seat and facilitate transfers. Back up to the chair until you feel both Iegs touching the chair. Slide your operated leg out in front of you as you reach back with one hand for an armrest. Lower yourself slowly, keeping your operated leg straight out. Once seated, bend your knee comfortably, or keep it straight. When getting up, scoot your operated leg out in front of you until you can stand on it comfortably. Push up using the armrests, keeping your operated leg out in front of you. Car Transfers: The front seat is preferable because it generally has more leg room, can be adjusted for comfort, and can allow the rider to more easily wear a seat belt. Make sure the seat is as far back as possible. Back up to the car with your walker or crutches. Put your operated leg out in front of you. Lower yourself slowly to the seat. You may roll the window down and use the car doorframe, along with the headrest, to support yourself as you sit. Scoot back into the seat, then swing your legs into the car. If the seat is low, recline the back slightly or put a pillow on the seat to sit on. To get in the back seat in a semi-reclining position. You will need to use your arms and non-operative leg to scoot yourself back farther onto the seat. After your total joint replacement, you may benefit from several pieces of equipment to make your daily activities easier and safer. YourDr. Hickman and physical therapist will recommend the equipment that best suits your needs.Most patients need very few assist aids after surgery. Some aids may be recommended depending on your particular needs which are assessed in the hospital. Seat / Shower Bench: This seat allows you to sit while bathing and provides you safety while you are in the shower. Seat Cushion: Cushions are used to elevate the seat height of a chair, couch, car, or other surfaces. Elevated Toilet Seat: This device is attached to your toilet seat to elevate its height. Long-Handled Shoe Horn: This shoe horn is attached to long stick and allows you to put on your shoes while sitting or standing. The pressure or weight goes on your hands and not on your armpits. Nerve damage can result if weight is placed on the armpits for a long period of time. Keep your elbows close to your side to help keep the crutches against your ribs. There should be a slight bend in your elbow when holding onto the crutches (15 to 20 degrees). Take your time and do not try to walk too fast. Keep your head up and look ahead. Do not look at your feet when walking. When walking on carpet, you must pick up your crutches and injured leg more than when you walk on tile or linoleum floors. Remove all throw rugs from the floor to keep from slipping and falling. Place both crutches under your arm on the injured side. Grasp the handrail with your other hand, if possible. Keep the crutches on the stair you are standing on. Support your weight between your crutches. Bring your good leg up to the next step. Let the injured leg trail behind. Straighten your good leg and bring the crutches and injured leg up. Put the crutch on the lower step. Lower your injured leg down to the lower step. Support your weight between your crutch and handrail. Move your good foot to the lower step. The day of surgery, the physical therapist will get you out of bed and help you walk with a walker or crutches as you are able. You will also start sitting in a chair for 15 to 30 minutes at a time. Before you go home, the physical therapist will teach you how to climb stairs safely to protect your new knee. They will also teach you basic exercises and send you home with a home exercise program. Exercise will help you regain the strength in your knee and legs so you can walk more easily. Additionally, you may perform isometric exercises in bed right after your surgery to help you begin to recover. Isometric exercises will help your muscles begin to “wake up” after surgery and will help to promote circulation in your legs to prevent blood clots from forming. They may be performed throughout the day whenever you feel your legs becoming stiff. Remember to breathe in as you tighten your muscles, and out as you relax them. Breathe normally while you hold the position.You will need to start outpatient physical therapy as soon as possible (usually within one week of surgery). The most important exercise or stretch after surgery is to work on your extension (getting the knee flat or straight). This should be done by placing your heel on an ottoman, chair, or on a rolled up pillow so air is under the knee, then push the knee down in extension. You should also work on flexion (the bend). Below are some basic beginning exercises should be performed until you can do 3 sets of 10 repetitions very easily. An advanced set of exercises is provided for when the beginning exercises are too easy. Remember to start outpatient physical therapy as soon as possible after you go home (usually within one week of surgery). Your physical therapist will help guide you through these and other exercises. Ankle Pumps: This strengthens your calf muscles in your lower leg. Bend your ankle and pull your foot and toes towards your head. Push your foot back down and point your toes away from you as far as possible, like you are pushing on the brake pedal of a car. Repeat with both legs 10 times every 2 hours throughout the day. Quad Setting: This exercise helps your upper leg or thigh muscles. Tighten the muscles of your thigh. Keep your knee straight. Push your knee down into the bed, having your kneecap move upward toward your hip. Think about trying to raise your heel ½ inch off the bed. Hold for a count of 5 and then relax. Alternate legs for 10 repetitions on each side 3 times a day. Relax and repeat. Perform a total of 10 repetitions 2 times a day. Straight Leg Raise: This exercise works the muscles of the upper leg and thigh. Keeping your knee as straight as possible, lift your leg off of the bed about 12 inches. Lower the leg slowly back to the bed. Perform 30 repetitions; resting as needed. Knee Straightening Over a Pillow: This exercise works the muscles of the lower thigh and will help out walk without limping. Place a rolled up pillow or towel under the operated knee. While your knee remains on the pillow, lift your foot up, straighten the knee, and point the foot toward the ceiling. Slowly lower your foot back to the bed. Knee Bending: This exercise helps to improve the range of motion of your new knee. While sitting is a high chair, hang your leg freely to let gravity bend your knee. If this is too painful, let your foot rest on the floor and slide your heel back along the floor. Bend the leg back under the chair as far as possible. Straighten the leg back out in front of you. Bend your operated knee, slide your foot back and plant your heel firmly on the floor. While keeping your feet in place, slide your hips forward to the edge of the chair and hold for 10 to 30 seconds. Slide your hips back in the chair and relax. Stationary Bike: It is okay to start riding a stationary bike without resistance immediately after surgery. You can start by doing small semicircles with your operative knee straight down. Slowly rock the pedal back and forth causing your knee to bend. Gradually work towards a full circle. Make sure the amount of motion as well as the amount of time you spend on the bike starts at a low level and slowly increases. Monitor your pain and swelling closely and cut back if either increases significantly. KEEP KNEE STRAIGHT WHEN RESTING - NEVER PLACE A PILLOW UNDER THE BACK OF KNEE - place your foot on an ottoman, chair, or on a rolled up pillow so air is under the knee, push the knee down in extension this is THE MOST IMPORTANT STRETCH OR EXCERCISE after knee replacement. WORK ON THE BEND - slide the foot under the chair, stretch the bend. Blood Clot Prevention: Follow your orthopaedic surgeon's instructions carefully to minimize the potential of blood clots which can occur during the first several weeks of your recovery.We are very aggressive in minimizing the risks of clots and have been successful in significantly decreasing the risks of clots. Tenderness or redness above or below your knee. Sudden increased shortness of breath. Sudden onset of chest pain. Notify Dr. Hickman immediately if you develop any of these signs. Preventing Infection : The most common causes of infection following total knee replacement surgery are from bacteria that enter the bloodstream during dental procedures, urinary tract infections, or skin infections. These bacteria can lodge around your knee replacement and cause an infection. Following your surgery, you should take antibiotics prior to dental work or any surgical procedure that could allow bacteria to enter your bloodstream. Persistent fever (higher than 100 degrees orally). Increasing redness, tenderness or swelling of the knee wound. Drainage from the knee wound. Increasing knee pain with both activity and rest.